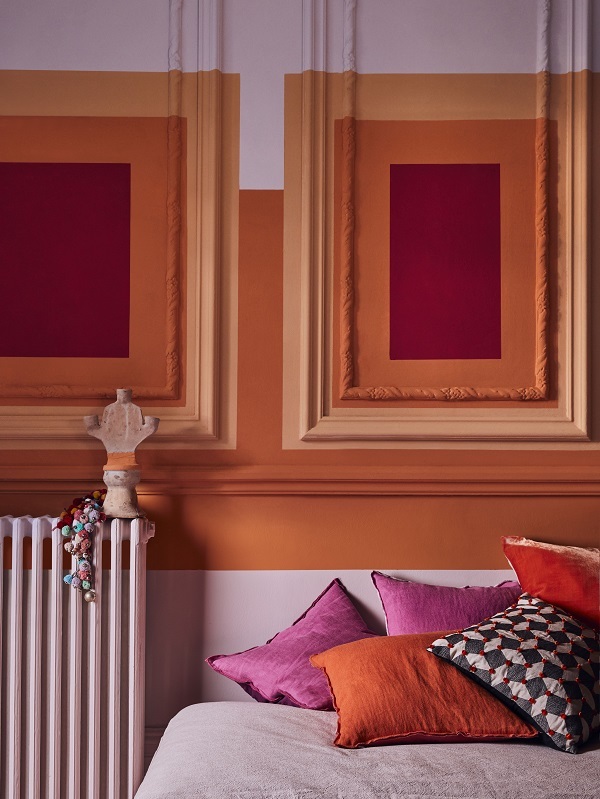 Annie Sloane gives us her take on Pantone’s colour of the year 2019. 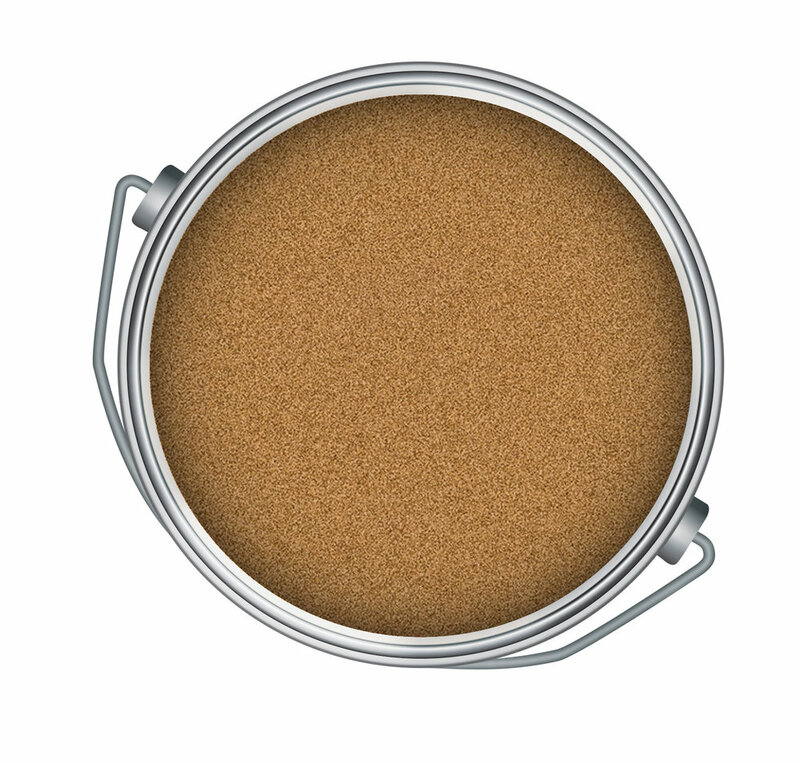 “Create you own coral by mixing two chalk paints together. Three parts of Tilton, a mustard yellow, with one part Emperor’s Silk, a pure bright red, reflects that energy you can see in Pantone’s colour. Border in Living Coral mix as above. Radiator in Antoinette. Daybed covered in Antoinette Linen Union and panels in chalk paint. Colours as listed above. Table top and floorboards in Scandinavian Pink. Table legs in Honfleur. All from Annie Sloan. 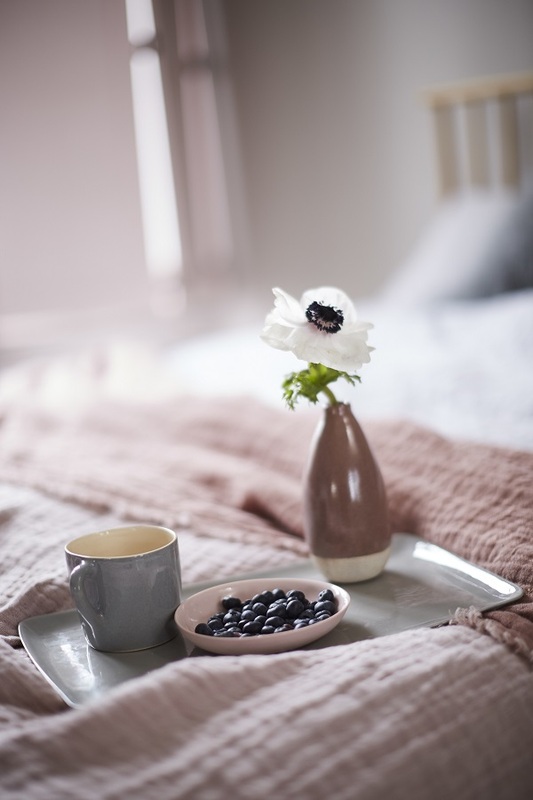 Hygge - A quality of cosiness and comfortable conviviality that engenders a feeling of contentment or well-being (regarded as a defining characteristic of Danish culture) - Oxford English Dictionary. 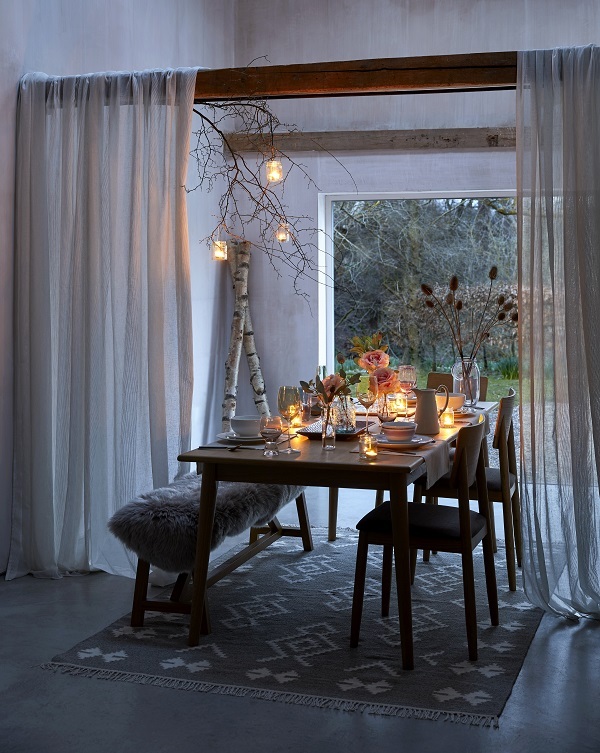 And what could be nicer during the winter months than comfortable conviviality? Even better when it’s so easy to achieve. Much more cosy than making all that effort to go out for a meal. Babysitters, cabs, and overpriced food, is all but forgotten when you invite friends over for dinner or better still, a long lingering Sunday lunch. It’s the simple pleasures that are the best. A bed piled high with pillows. A good book, a reading light and a cup of cocoa. Heaven. Draw the curtains, run a hot bath, light the candles and turn on some music. It’s said that a bath before bed and a hot drink, is the best way to unwind at the end of the day and get a good nights sleep. 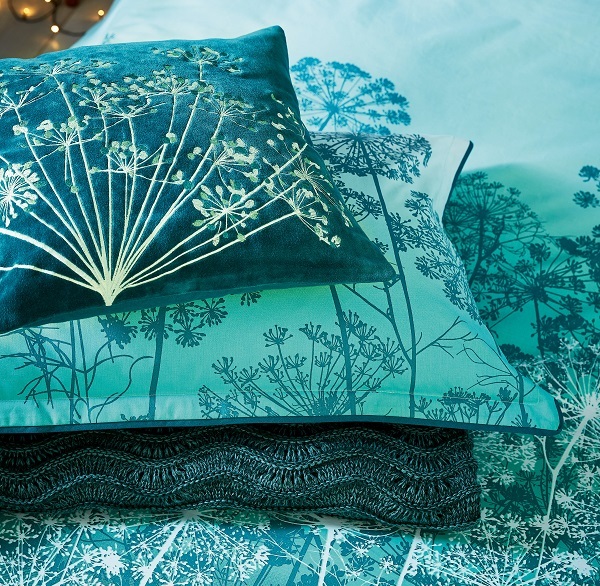 Layer up everywhere with extra cushions and throws. Put on a box-set and hibernate until Spring. That’s what we will be doing. By their very nature, all Design Hotels™ members present interiors intended to inspire and awe. 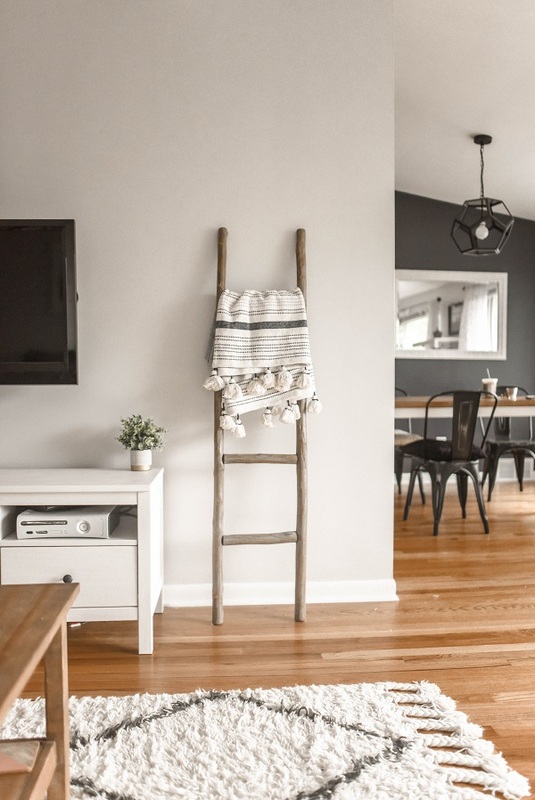 So, whether it be an urban retreat or a countryside escape, every one of the unique 324 properties in the portfolio offers thoroughly original décor that will inspire guests long after their stay is complete. With cutting-edge design and architecture combining as a vehicle for audio-visual storytelling, each of the following hotels display interiors that are show-stopping and authentic in equal doses. At The Flushing Meadows Hotel & Bar, a 16-room Munich-based bolthole, each accommodation is individually decorated by a series of local creatives and personalities, while a broad range of styles come together in the hotel’s public spaces. The result is a property that truly reflects the eclecticism of its shell — a 1970s former post office. In Warsaw’s Autor Rooms, a Berlin Modernist-style building home to just four rooms, craftsmanship shaped by the city’s artists, architects, designers, curators reigns supreme. Here, inspired guests are offered the rare and welcome chance to take home their own little piece of the hotel, with the hosts open to connecting visitors with the creators of the many pieces that pepper the various rooms. At Le Collatéral in Arles, stunning interiors serve as a complementary backdrop to the installations, digital art, photos, and drawings on display in public areas. Striking the right balance of art and design, each area is carefully curated to provoke thought, without reneging on comfort. The same can be said for Stamba Hotel in Georgia’s resurgent capital of Tbilisi, where an industrial former publishing house offers surprising levels of luxury and warmth, thanks to a combination of plush furnishings, carefully sourced fixtures, and harmonious palettes. Paired with salvaged fittings and restored materials, these components come together to shape a network of spaces that feel more like the home of a (very) cool friend, and are ideal for entertaining. Behind its historical façade, the recently opened Hotel Pacai in Vilnius offers a unique duality of hard and soft, old and new. Roughly hewn walls and uncovered frescoes meet sleek marble and chic furnishings for a mood that exudes palatial glamour and offers plenty of ideas, both small and large, to take home. Rome’s Elizabeth Unique Hotel — a centrally located restored 17th-century palazzo—is a riot of arched walls, lacquered wooden panels, reproduced antique wallpaper prints and canopy beds. With couture fabrics and carefully curated artwork setting the stage for this finely appointed, art-filled bolthole, the visitors run the risk of not setting foot outside to explore the wonders of the city. 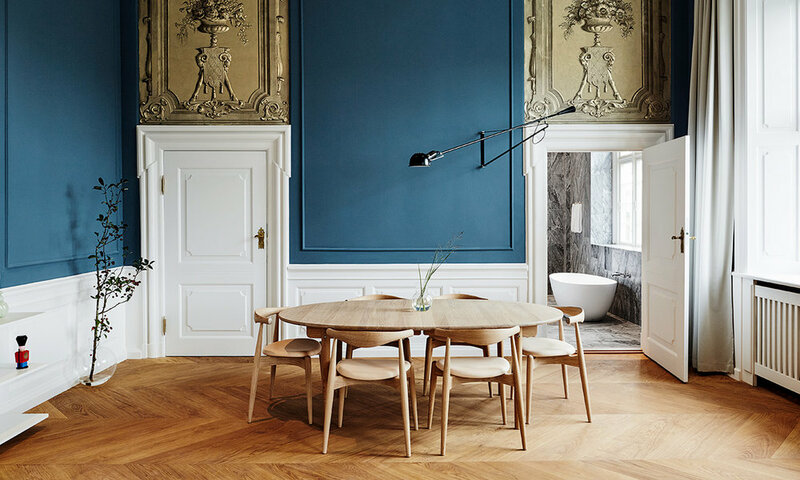 Our list of swoon-worthy interiors is rounded up by Nobis Hotel Copenhagen, a cool merger of Danish classicism and Swedish sensibility set in a former music conservatory. This gorgeous combo produces a cutting-edge contemporary luxury hotel where star architect Gert Wingårdh’s attention to the smallest of details has resulted in a property that oozes both classic grandeur and Scandi minimalism. 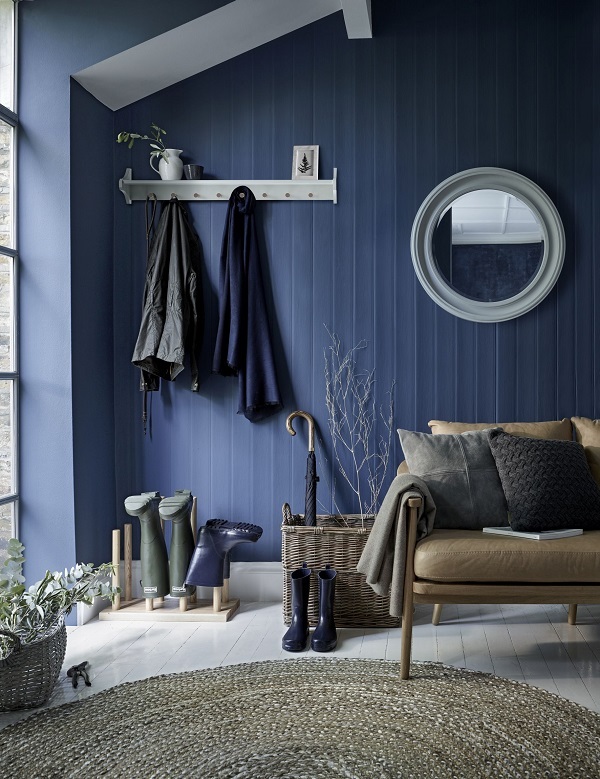 The new John Lewis Croft Collection embodies a stylish yet classic aesthetic for Autumn and Winter. 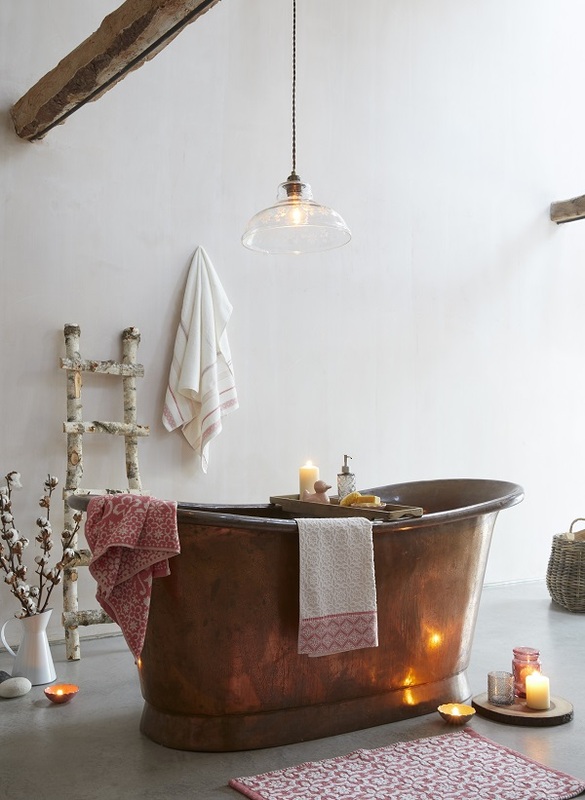 It combines a darker, moodier palette with tactile materials to create a warm and cosy feel. 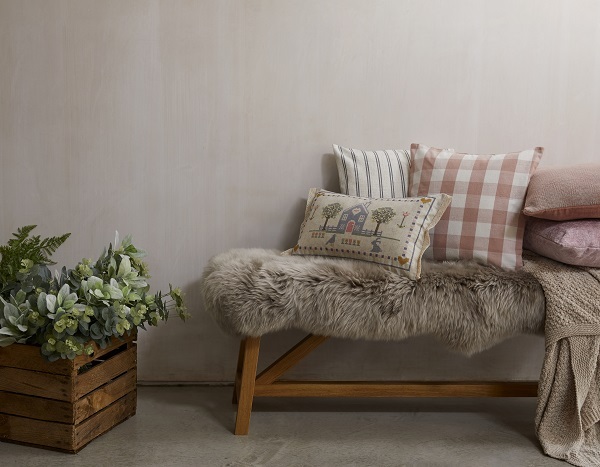 What’s more, the entire collection is a celebration of authenticity, provenance and quality craftsmanship using natural materials, understated textiles, and artisanal techniques for a lovely handcrafted feel. 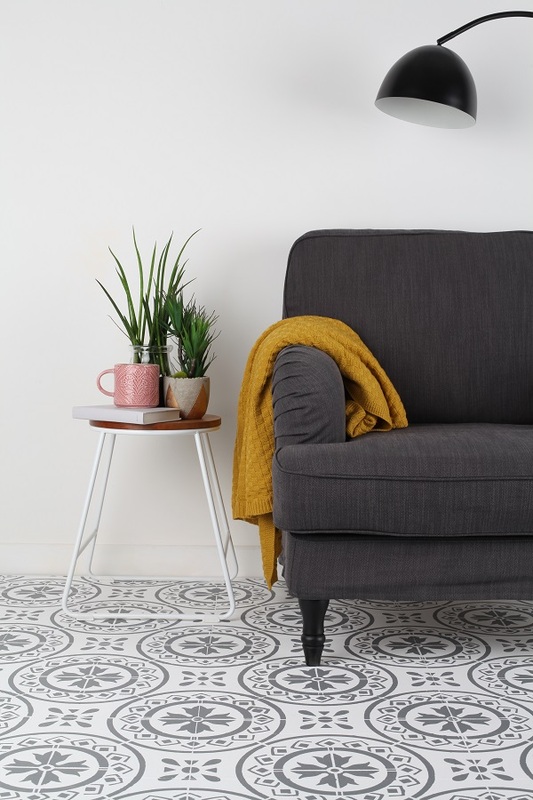 John Lewis Croft Collection (follow the link to the website) Harp Chair, Harp Footrest, Gabro Rug, Ansel Floor Lamp, Lyle Cushion. John Lewis Croft Collection (follow the link to the website) Lorn 6 Seater Dining Table, Lorn 4 Seater Dining Bench, Easdale Dresser Top, Easdale Sideboard. John Lewis Croft Collection (follow link to website) Frome Loveseat, Jute Round Rug, Porthole Round Mirror, Ash Welly Boot Holder, Wicker Log Basket. John Lewis Croft Collection (follow the link to the website) Recycled Bath Towels, Blakeney Bathroom Stool. 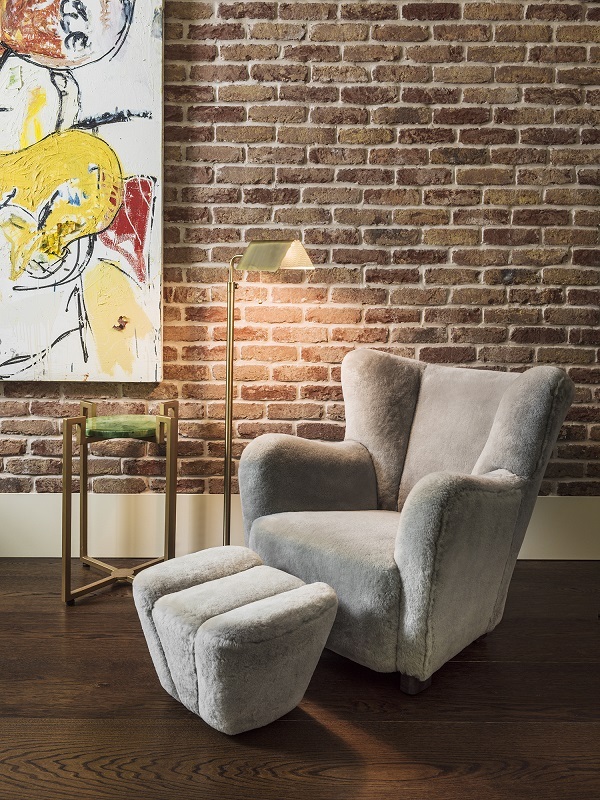 Designer sofa specialists, Darlings of Chelsea are proud to announce the official launch of their new London flagship store in Parsons Green. Officially opening on Wednesday 2nd January, the 5500 sq. ft showroom will showcase their latest designs before any of their four other stores, (like the Rocco sofa pictured above, which was photographed in their stunning new space). 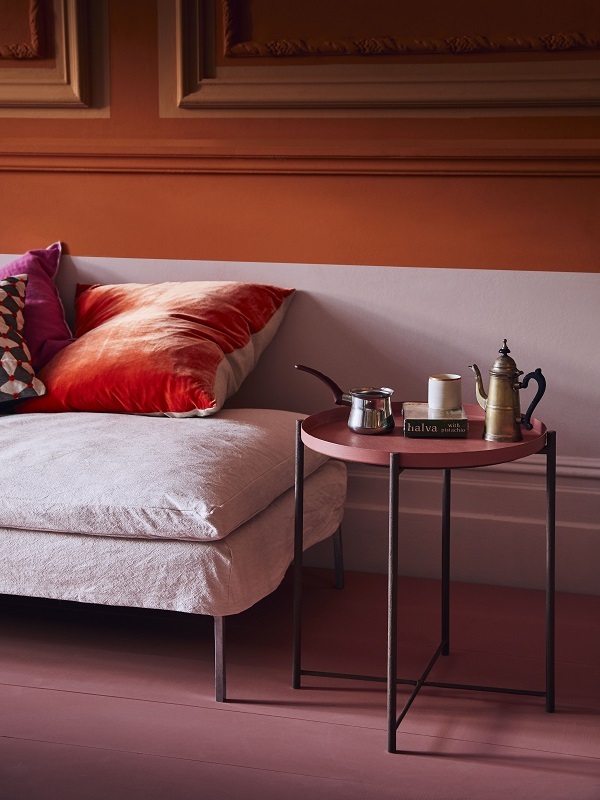 It will also display their best-sellers, along with their designer collections from Duresta, Content by Terrence Conran and Scandinavian designer, Andreas Engesvik. The Norton Corner Sofa is an extremely squishy, cozy and comfortable medium sized corner sofa perfect for curling up and spending hours in. Boasting high quality feather and fiber filled seat cushions for the ultimate 'sink-in' experience and supported by a base of zig-zag springs wrapped in foam you will feel as if you are floating on air. Choose from a wonderful range of fabrics and customize your inclusive scatter cushions in complimentary fabrics if you wish to make this chair truly your own. Conveniently situated opposite Parsons Green tube station, visiting by public transport has never been easier. But if you prefer to travel by car, there is free parking available too. 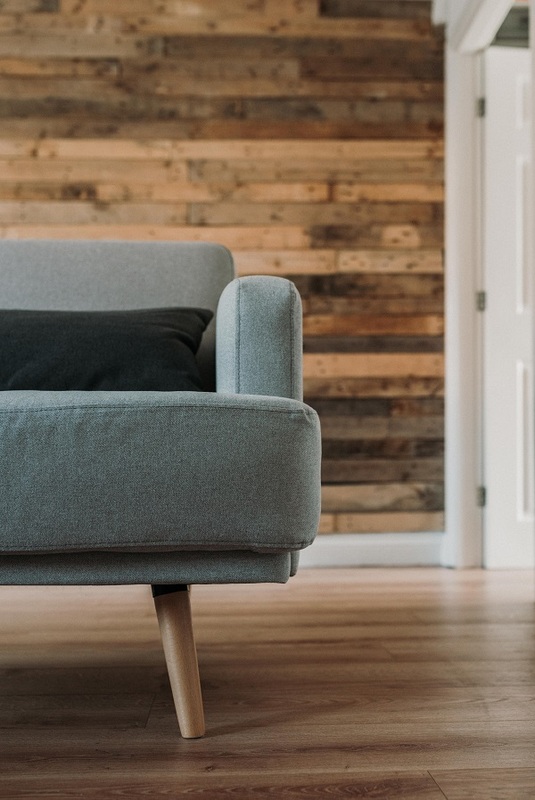 Darlings of Chelsea have also added a new range of smaller sofas to fit urban spaces: “Drawing on feedback from our customers, we’ve diversified our range to offer a variety of sofas that fit different living spaces, from the studio flat to the penthouse apartment or country manor. For those looking to purchase a sofa in the New Year, there will be a 35% off sale promotion to coincide with the launch of the new showroom. 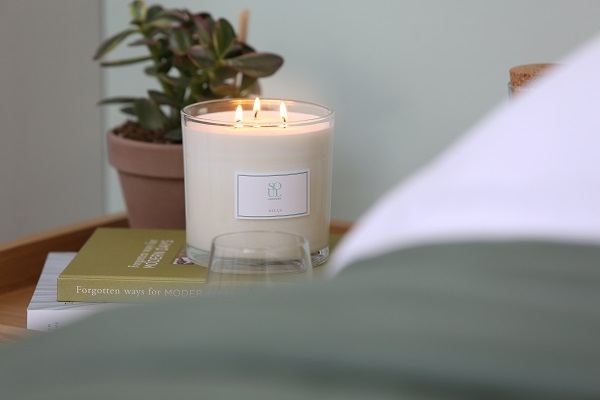 The Parsons green flagship store joins their four other stores, which are excellently located in Birmingham, Fulham, St Albans and Ash Vale in Surrey. 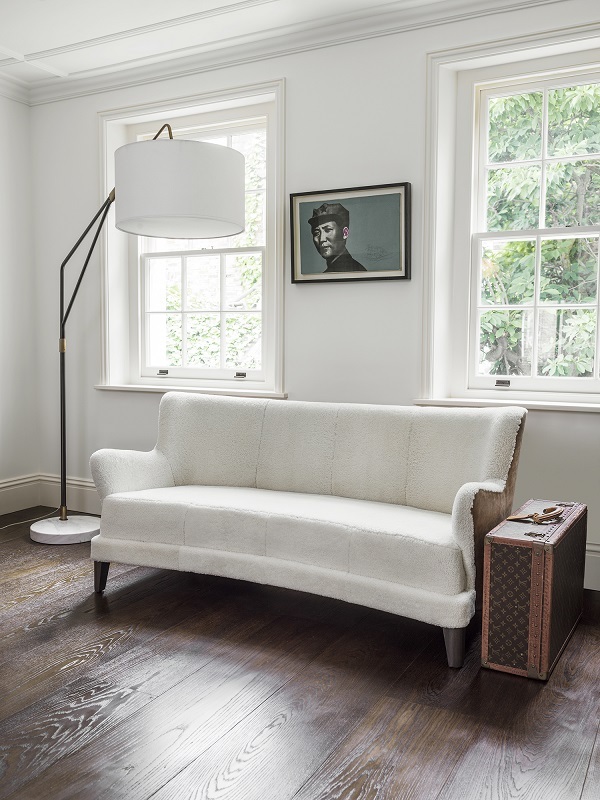 The Brighton sofa range is an exceptionally attractive, distinctively modern, 60’s inspired American design. Featuring compact proportions and sleek design on raised legs, the Brighton sofa is ideal for small spaces or a beach side home. This model is available with an optional headrest that is removable as and when you need it for added support. 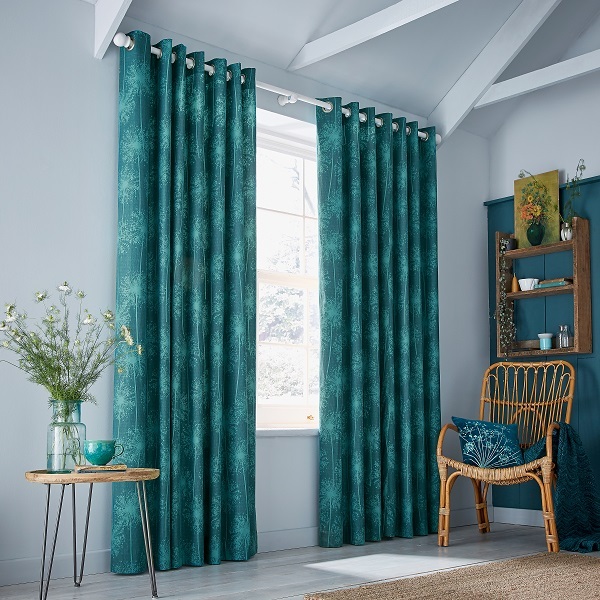 Choose from a fantastic range of fabrics and leg colours to make the Brighton your own. Darlings of Chelsea, Parsons Green Depot, 33 Parsons Green Lane, London, SW6 4HH, T: 020 8965 7100. 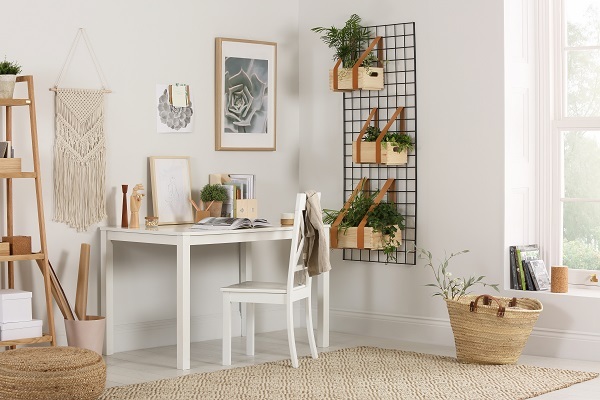 Trends Straight From Pinterest into Your Home! 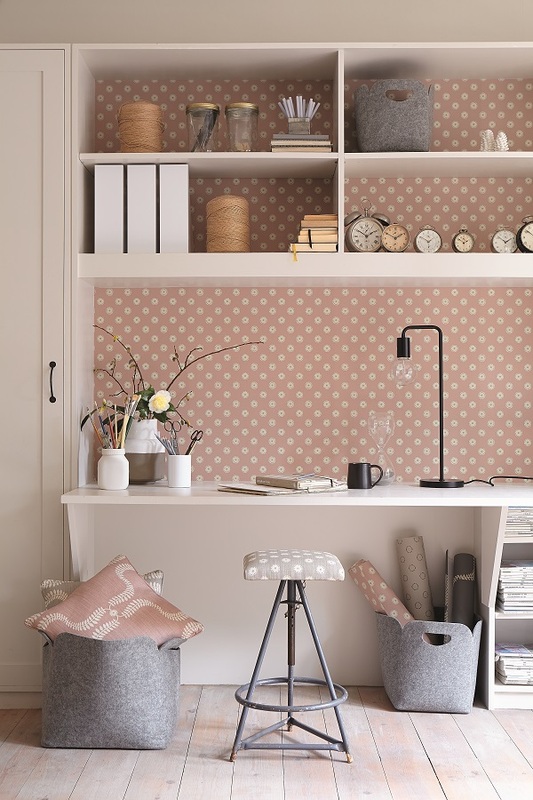 So here are 4 of the most popular trends from Pinterest which you can easily recreate in your own interior, using patterned wallpapers, wall murals, stickers, prints, and posters. Stones and minerals have been very popular in interior design trends for several seasons. This time, the trendy terrazzo, fashionable in the 1970’s and 1980’s is back, which in a modern, refreshed form takes on a unique charm and futuristic character. The new terrazzo is refined, and elegant, but at the same time unpretentious and light. Interior decorators suggest moving a stone motif from the floor to the surface of walls, accessories and even furniture. Wallpaper and wall murals resembling terrazzo is a great idea for decorating the walls in the dining room, kitchen, hall and living room, and in a colorful edition also in a kid’s room. In times when the 24-hour day is too short, and life is quick, like never before, we are looking for peace and solace. No wonder that now a delicate, greenish color with a soothing name and properties has become a hit. The color inspired by the herb with healing properties and culinary qualities is a combination of green and blue, through which gray and purples break through. We can find several shades of sage in the Pantone collection: light Desert Sage, silvery Silver Sage, olive Sage Green and deeply saturated Sagebrush Green. Sage in its delicacy and restraint can be the leading color that will not dominate the space, nor overwhelm even in a small interior. A room with wallpaper in the color of sage will become fresh and more cozy. If greenery does not satisfy our appetite for color, we can combine it with beige and browns, creating calmness and naturalness. 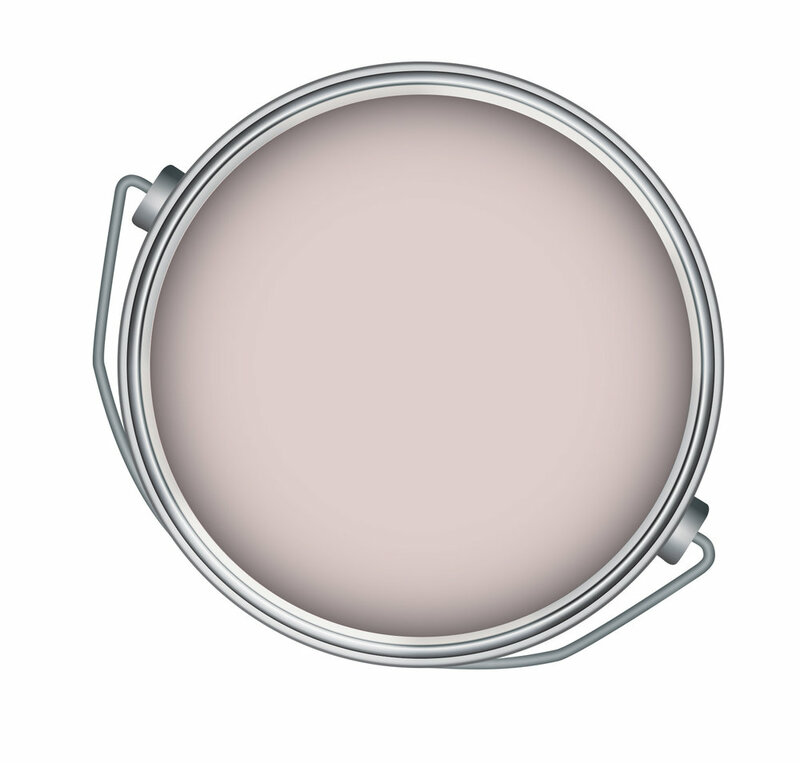 Sage also goes well with an appetizing peach, pastel lavender and sunny yellow. Mosaics and ornaments straight from One Thousand and One Nights decorate kitchens and bathrooms all over the world today, and their popularity is not diminishing. 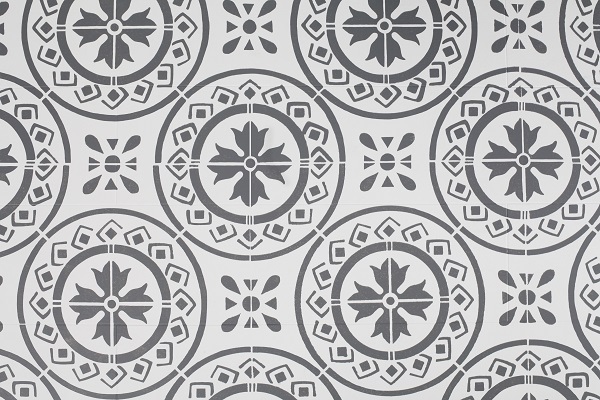 Patchwork tiles, each one of them is a way to express a pronounced and stylish interior for people who are not afraid to experiment with color. A mish mash of colors and patterns on the wall is a ready arrangement, which does not require thoughtful treatments and sophisticated accessories. It's the ornaments that play the main role and it's going well. 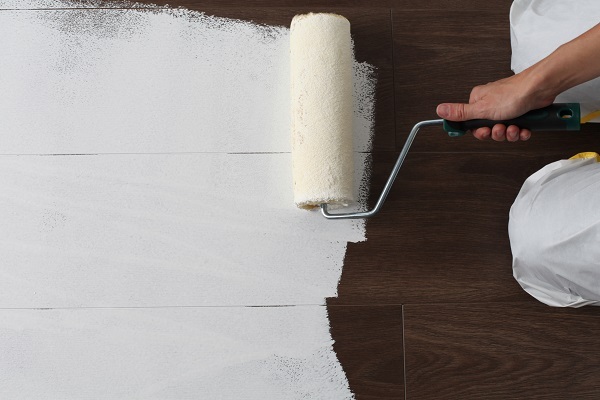 People who dream about colorful tiles no longer have to worry about the difficult renovation and replacement of ceramic tiles. 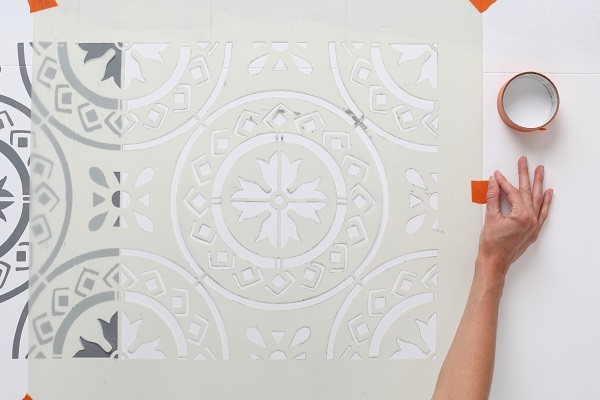 Modern tiles stickers will work on kitchen and bathroom tiles, and if we get bored we can simply remove and replace them, or return to the original interior design. Wall galleries are growing right before our eyes! 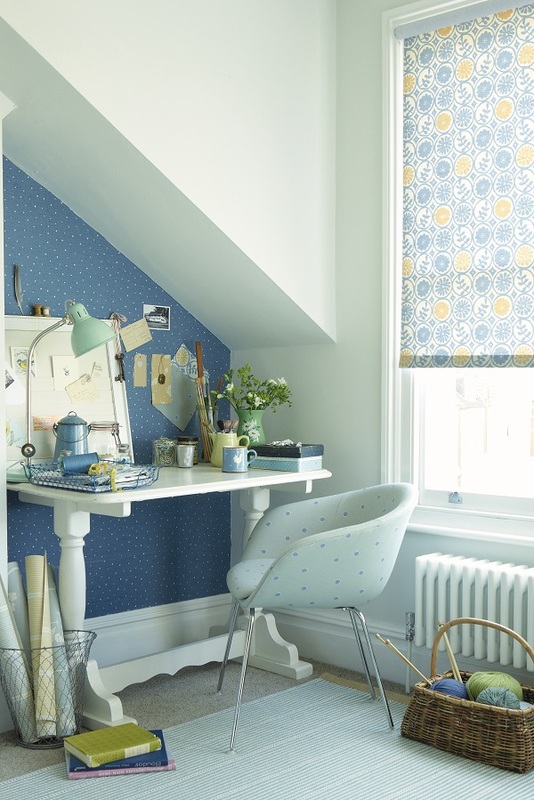 Stylists suggest prints and posters in large format - the bigger, the better. Effective, eye-catching decorations can hang on the wall, and if there is no space for them, we can put them on the floor, desk or dresser. Large prints and posters will work in every style. All painting techniques and styles are allowed: abstraction, classicism, modernism, photo-realism. Size and exposure are important in a place where everyone can see them. For more inspiration visit pixers.us. 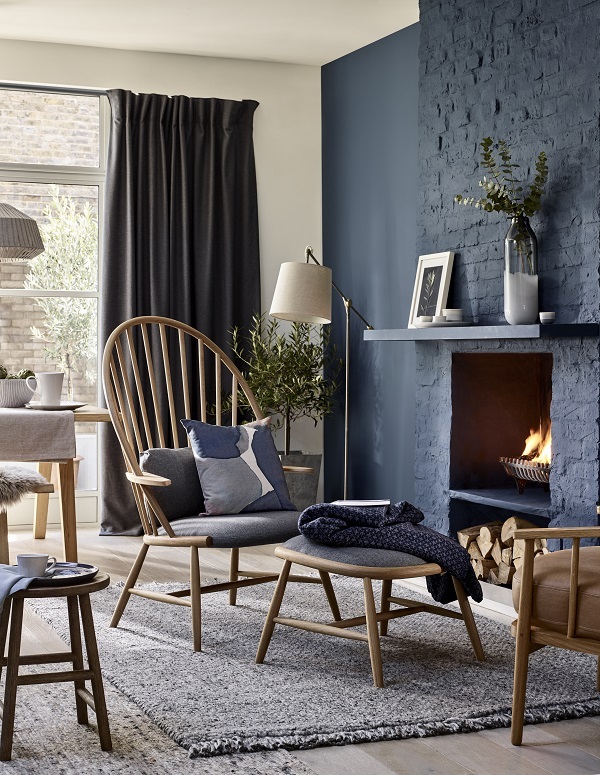 Scandinavian design continues to be an ever-popular trend for interiors and is perfect for a bedroom scheme. But for the coming season, add a touch of femininity and warmth by accessorising with subtle blush-pink hues. 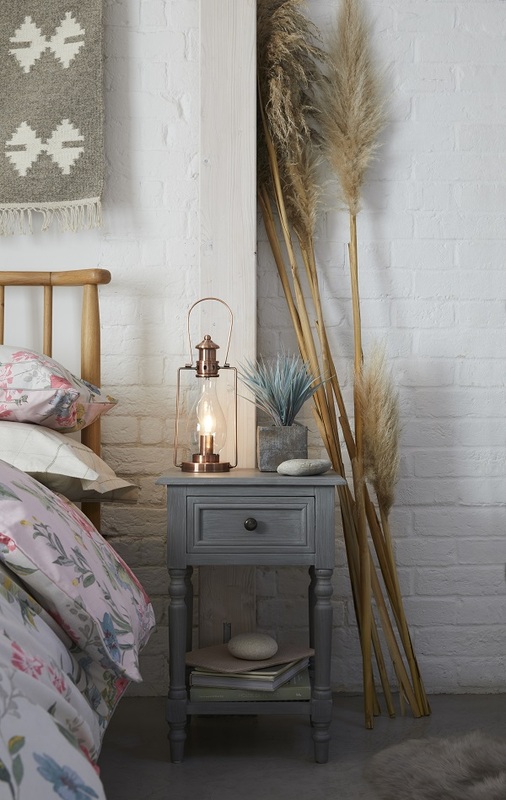 ercol Teramo Bedstead, £829; ercol Teramo Bedside Cabinet, £251; Raine Table Lamp, £149; Amos One Light Pendant, £59. 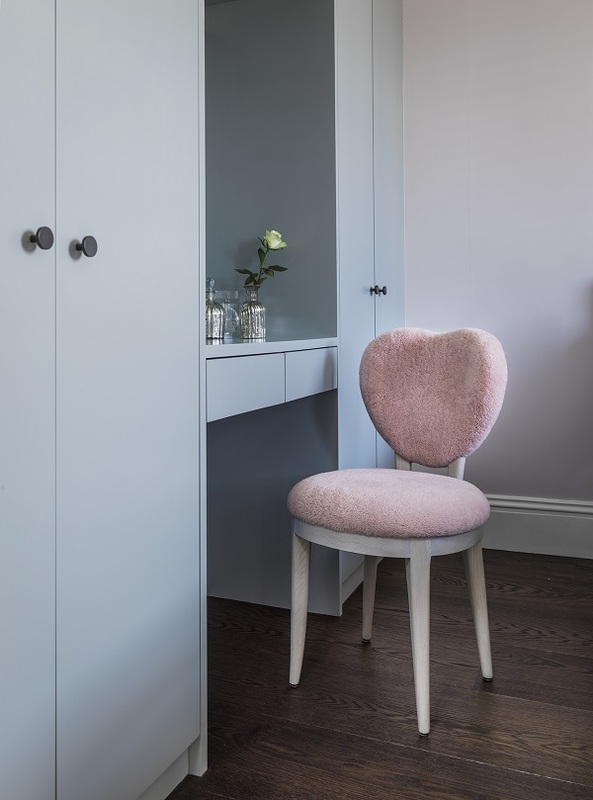 To prevent the colour scheme from becoming too girly, add equal measures of grey, and a couple of darker tones as accent colours. Here, the reverse of the bed cover reveals a darker terracotta shade and the dark grey cushion adds texture and colour. ercol Teramo Bedstead, £829; ercol Teramo Bedside Cabinet, £251; Raine Table Lamp, £149; Scatterbox Velour Cushion, £29; Mongolian Cushion, £49. In fact the cosy Mongolian sheepskin cushions and tactile, relaxed crushed linens prevent the space from appearing stark and cold, while a statement gold pendant light injects the all-important hint of luxury. 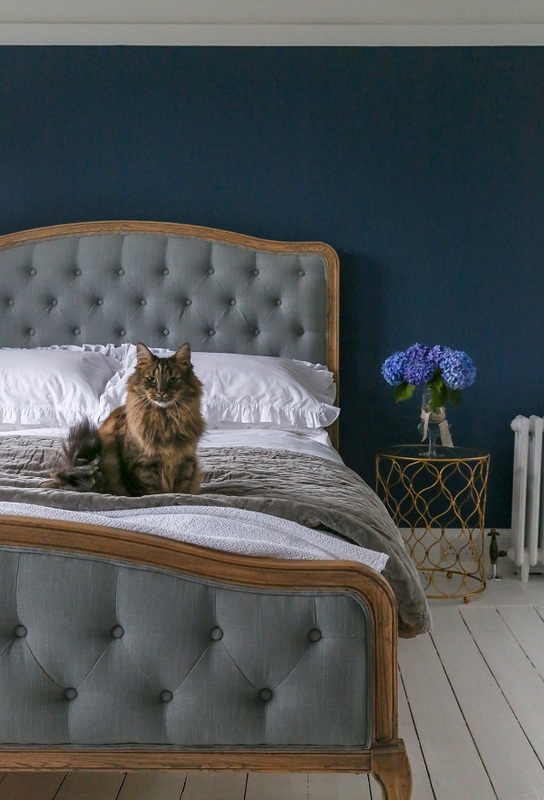 Tip: When planning a new colour scheme for a bedroom or indeed any other room of the house, it pays to start with a moodboard. Play around with the composition before you make any major purchase or start putting paint to the walls. 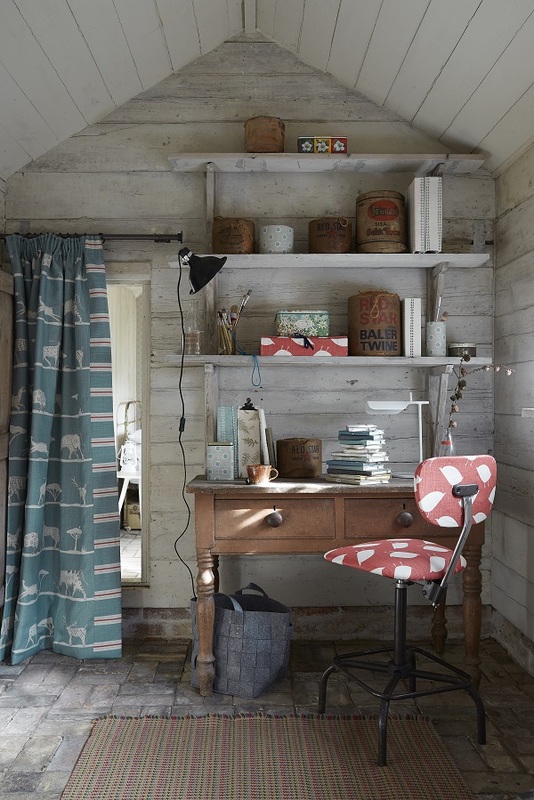 With a calming, neutral colour scheme and fresh white cupboards, this idyllic country kitchen combines cosy and rustic, with practical and simple work spaces. Contrasting wooden surfaces, exposed brick and original cladding, bring charm and a traditional cottage feel, with plentiful storage and open shelving to store and display. With off-white worktops and plenty of natural light, this lovely kitchen blends together tranquillity and style, with organised and spacious work spaces. This practical space includes generous storage, plenty of cupboard’s and larder. Scrubbed pine floors match the warm wooden worktops, with a rustic ceramic sink and vintage brass taps, to create a homely kitchen in London. The client really wanted wood panelling on the walls, but couldn’t find any ‘off the shelf’. They searched high and low and in the end fell in love with some wood panelling that they found at Audley End stables. They took measurements and cut it themselves with a router out of 9mm ply. Cupboards and wall panels painted in Farrow and Ball strong White. The lighting is an industrial machinist lamp from one of their favourite antique shops Otto antiques. The final design really fits in with the period of the house and the kitchen. Although it’s all new, the kitchen has a lived in look and feel which family members and visitors seem to love and have commented on. All cupboards: British Standard Cupboards Individual cupboards start from £465 per unit. An average sized British Standard kitchen costs In the region of £8,000. 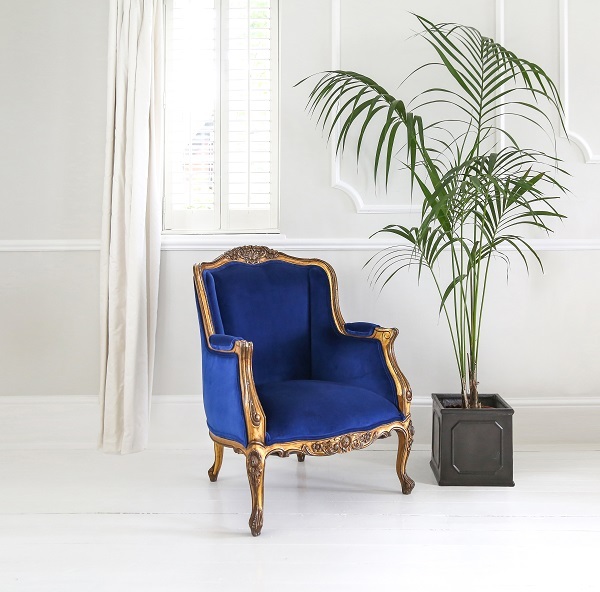 Does the idea of curling up in a cosy armchair with a book sounds perfect to you? 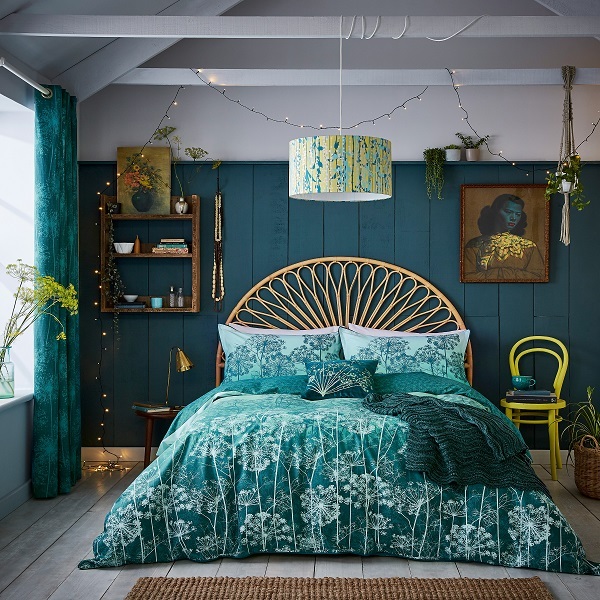 If so, you’re going to love this new collection designed by British designer Elnaz Namaki. 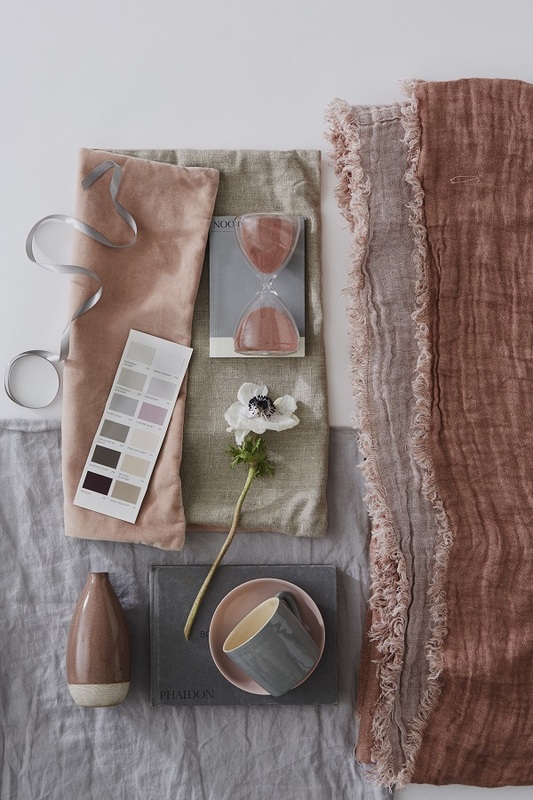 The Luuna collection was born with the Danish principle of hygge (the heart of Danish culture, describing those that crave cosiness and comfort) firmly in mind. This inspiration led Elnaz to use shearling as a core material in her pieces which connects us to nature, as well as evoking warmth and comfort. The collection presents mid-century inspired ergonomic and sculptural shapes, which are striking and original, yet simultaneously reflecting timeless luxury. All pieces are hand-made in England by highly-skilled English craftsmen. Shearling was carefully chosen for its organic, natural and allergen free qualities. 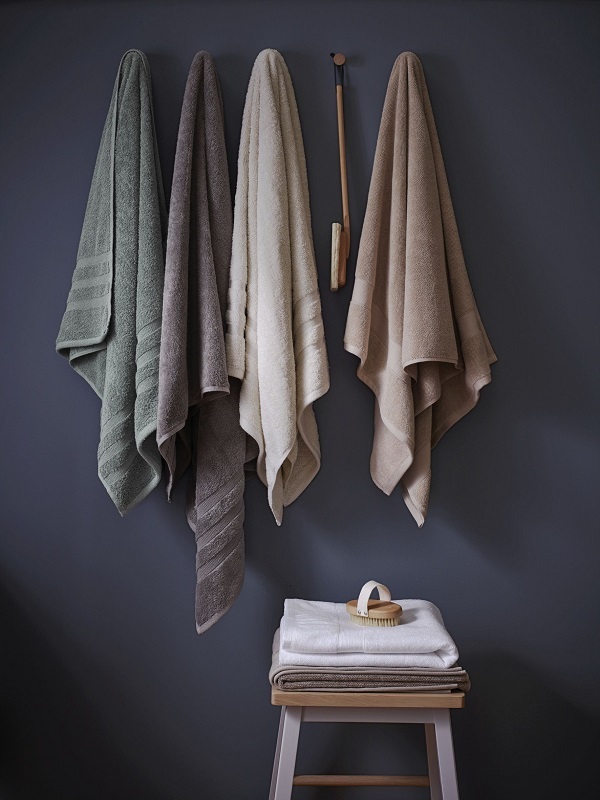 It offers an amazingly soft texture - when the organic wool fibres connect to the skin, the user feels warmly connected to nature. Curly and straight-haired merino and aviator shearling is contrasted against suede, leather, wood and metal. 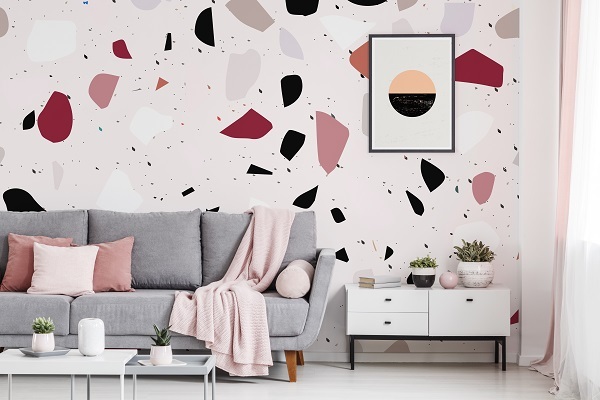 The choice of mid-century pop art colours (the colour palette for the initial range is pink, grey, black and white) creates strikingly bold yet classic pieces, which bring soul, depth and originality to every interior. As the American poet and novelist May Sarton accurately said “A house that does not have one warm, comfy chair in it is soulless”. Elnaz Namaki Studio is a London-based interior design and creative direction studio. The company began designing prestigious residential properties in some of the most desirable areas of London in 2012, and offers a fully bespoke service to their clients. 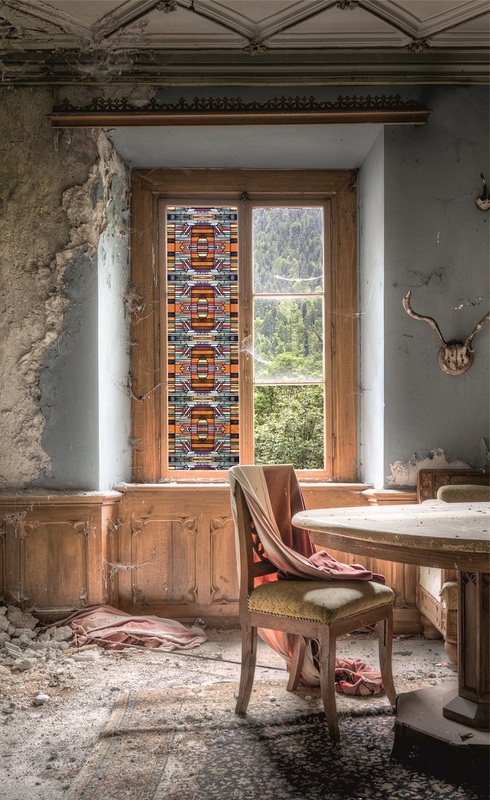 We’re very excited about this exclusive new design collaboration between the Swedish artist Emma Lindström and Photowall. As we’re always on a quest to find fresh new designs for making our homes just a bit more different, this couldn’t be more up our street. 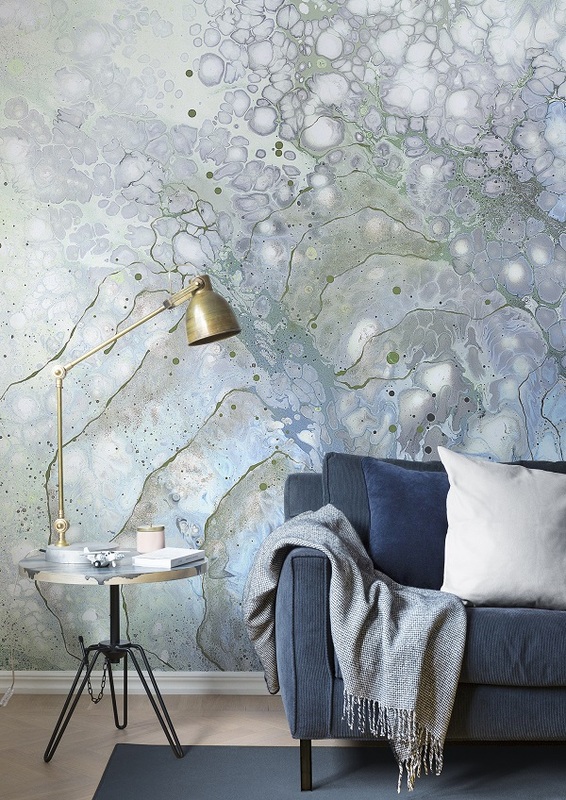 The wallpaper collection Aura, includes 12 acrylic paintings with abstract and vibrant colour compositions. With harmonious and organic expressions, each wallpaper design invites you to experience visual relaxation and serenity. 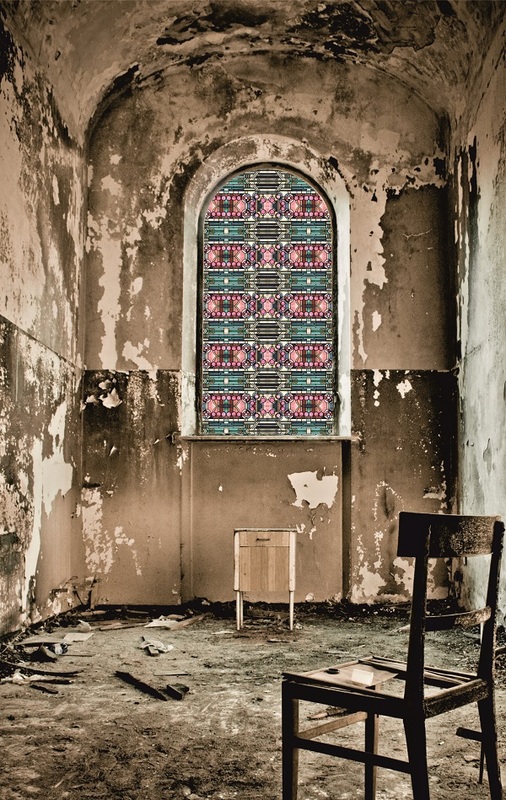 Emma Lindström is an established Swedish artist with several successful exhibitions in the USA and Europe. Her artistic work process has been a long journey with many years of experimenting with different techniques, colours and materials – something that is constantly varying and developing. At the same time, it is Emma’s mood, feeling and pure chance that guide the visual expression. The work always starts with selecting a specific colour scheme. Either based on a specified customer order or Emma’s current mood. “When I start creating, I enter into a meditative-like state. I allow intuition to speak and process to lead the way. 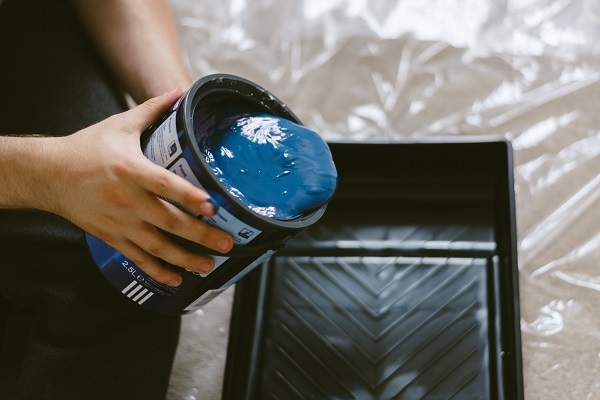 The first stages of the process include pouring and splashing with acrylic colours and various media. After that, I get on to the detailed work with lines and smoothing out techniques that shapes the final artwork,” says Emma. AURA is sold exclusively at Photowall. 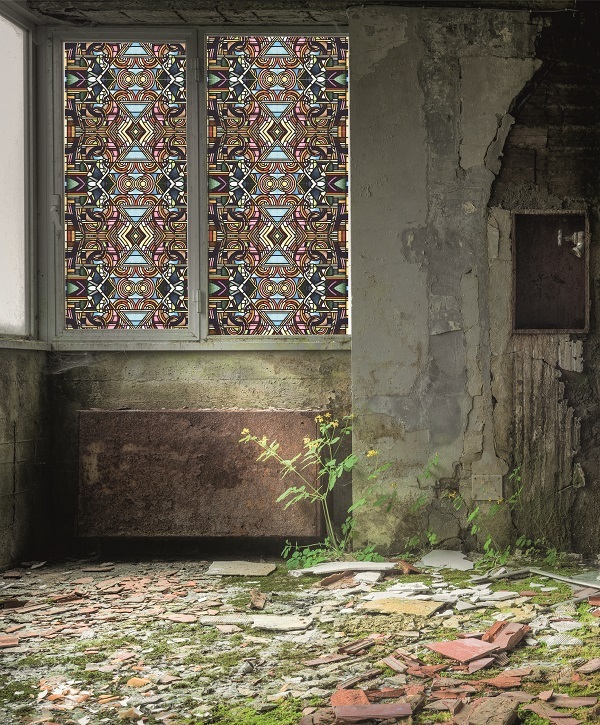 The collection includes 12 motifs and can be ordered as made-to-measure wall murals costing £30 per square metre.